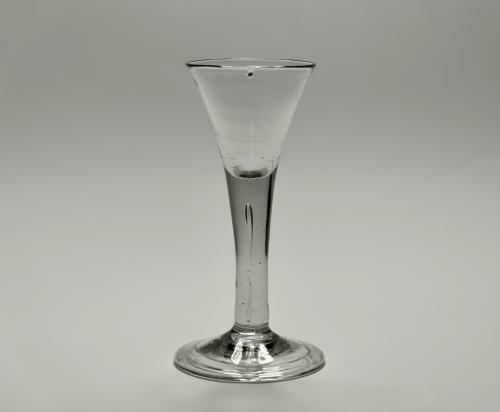 Small plain stem wine glass with drawn trumpet bowl, air tear and folded foot. English C1750. Condition: Very good with no chips, cracks or restoration. There is a seed in at the top of bowl. See close up photograph of bowl.